All of our Conservatories are made to measure. Every detail from the roof to the chosen design are thought out carefully to coordinate perfectly with your home. Its highly versatile and distinguishing features render the victorian conservatory the most popular choice of conservatory. Choose from either a three or a five facet bay front to give an elegant curved appearance. This traditional conservatory style is inspired by period architecture, as the victorians loved keeping plants warm over the winter. Georgian conservatories provide a flat-fronted style which offers excellent use of floor space due to their square or rectangular internal shape. This means that there is no wasted space as it is ideal for placing furniture and other accessories. Each side of the roof slopes back to the centre giving it a level of individuality as an additional room. 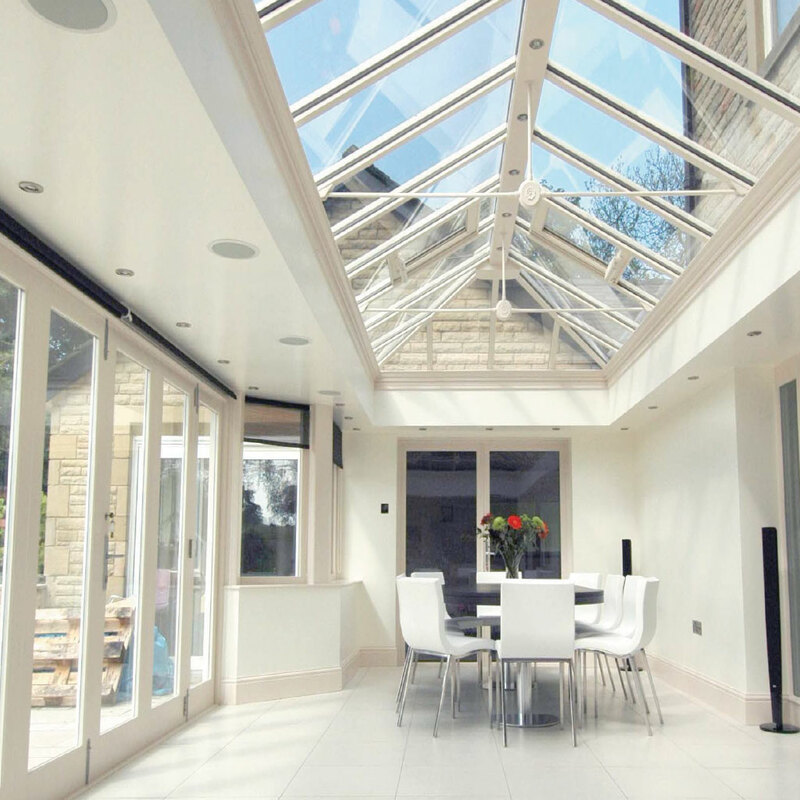 A Gable conservatory offers excellent use of internal space. The front panel of the roof remains upright rather than sloping back to the centre. This creates a feeling of great height within the conservatory and provides a more expansive space than the traditional conservatory. 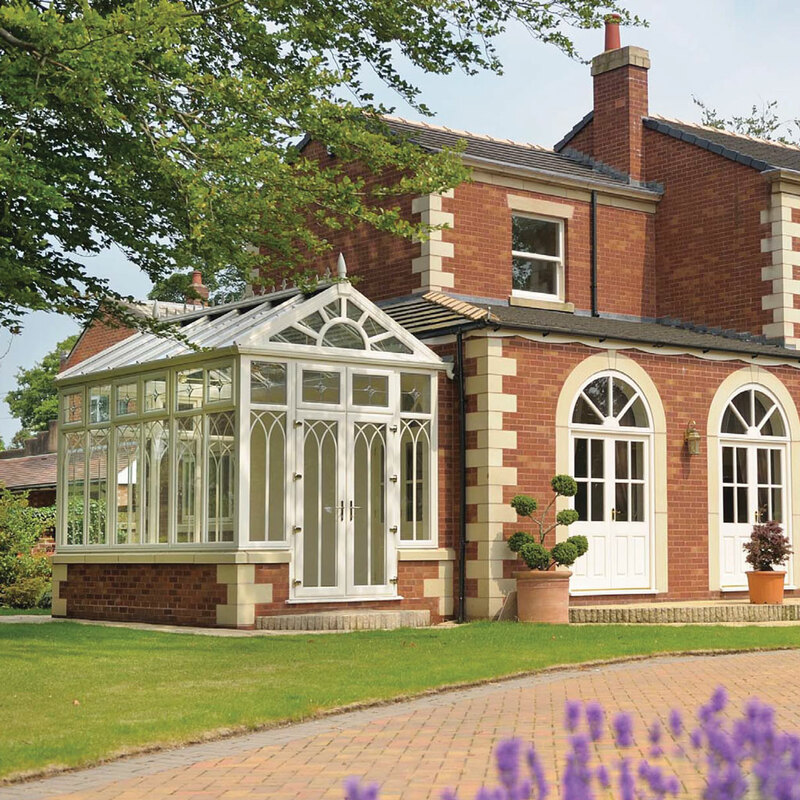 These conservatories are particularly striking and are perfectly paired to to period properties. 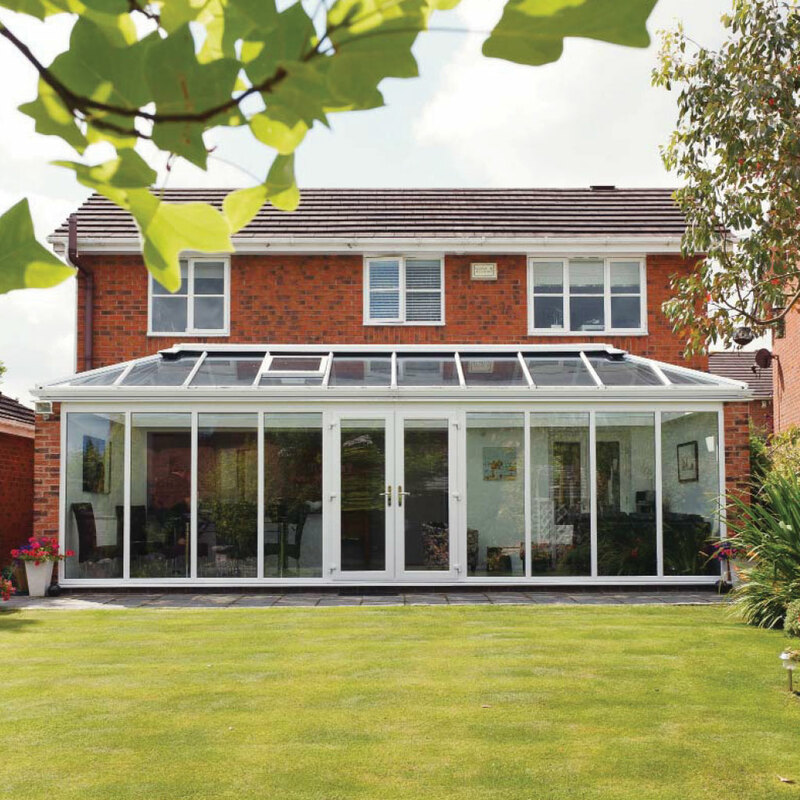 Lean To conservatories are simple, sleek and elegant. Their shape makes them a cost effective and simple addition to your home to provide a playroom, dining room, or kitchen space. These are often installed in properties with limited space or in awkward areas. The pitch of the roof can be varied to fit alongside a low bungalow or made steeper to meet the roof of a house. Ideal for larger properties, offering expansive floor space that can be used as additional living space. The original conservatory. Suited to older style period properties, swimming pools or larger conservatories. Blurs the margins between home and glazed extension. Below is a list of the additional features, colours and accessories that are available for all of our conservatories. Crestings and Finials are the ornamental finishings that run along the top of a conservatory roof. Choose from an ultra-modern or classic finish. Cornices upgrade the aesthetics of a roof, while Dental Mouldings can be added underneath your conservatory guttering for an extra touch of elegance. We can create your Conservatory to be as personal as you wish. Carefully chosen colours will create a space that looks perfect and best suits the general style of your home. There are various standard and bespoke colour options. Start thinking about whether you'd prefer traditional colours or something a bit more daring! Polycarbonate- a more cost effective option than glass offering enhanced decoration and superb thermal properties. Available in a range of colours, thickness and specifications: Clear| Bronze| Solar Control| Opal. Glass- enables extra light to be reflected into the conservatory. Solar Control glass- heat deflective in summer and insulating in winter and Self Cleaning glass. Available in: Subtle Blue| Neutral| Clear or Bronze and many more colours. Lighting can add to and create the correct ambiance in your conservatory. We can attach low voltage spotlights in Brass or White to the roof if you prefer something inbuilt above you as seen in standard rooms around the house. Alternatively, lamps and wall lights can also provide an additional level of lighting and make the conservatory feel extra cosy. 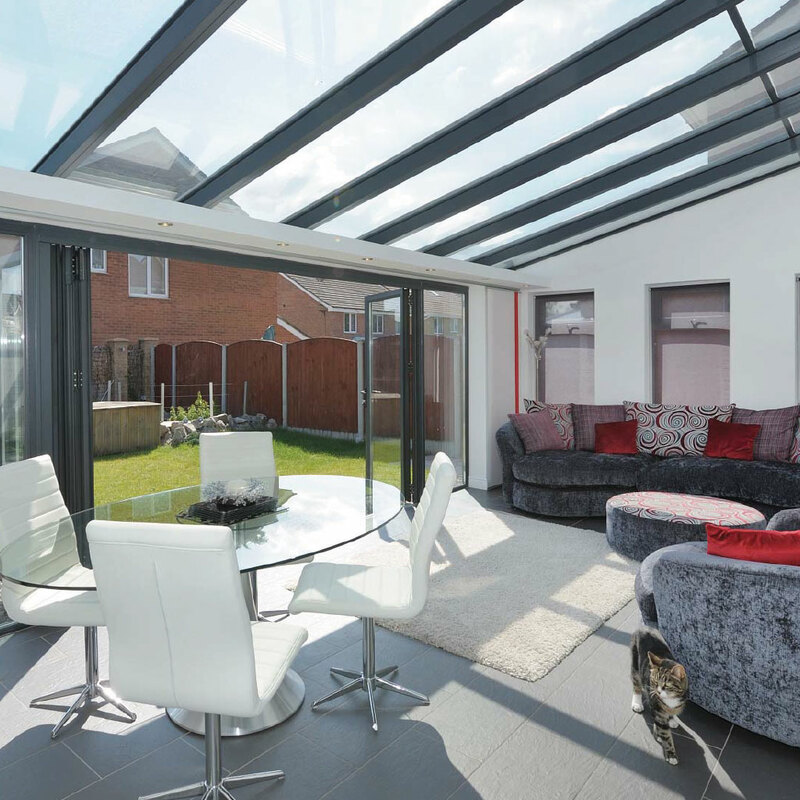 A conservatory can make an excellent addition to your home, providing extra living area, space for the kids, an entertaining space, or somewhere to sit and enjoy the garden all year. They will bring a whole new dimension to your quality of life and perfectly compliment modern living. 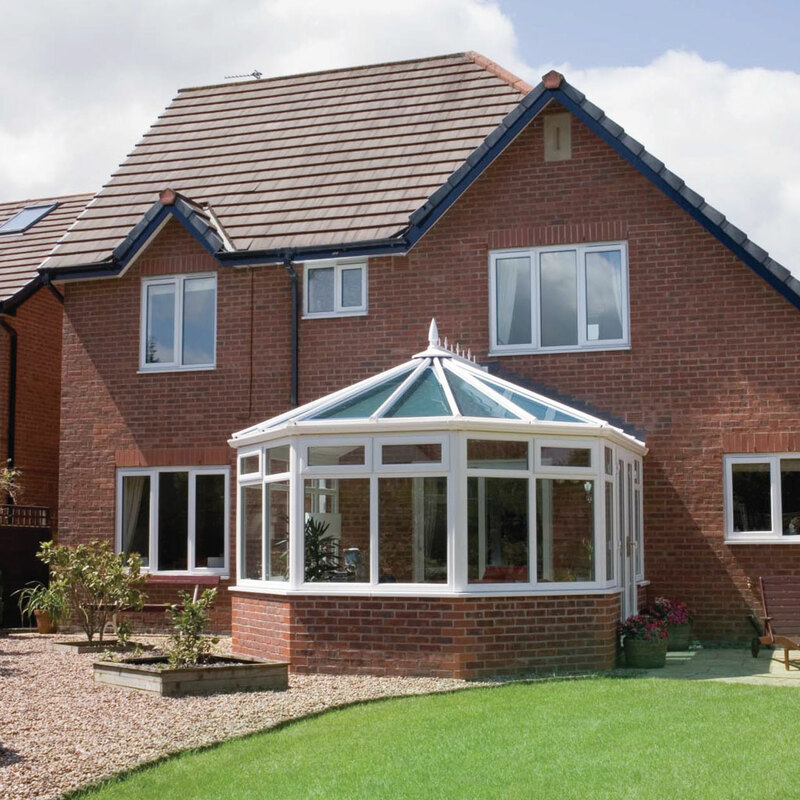 All of our conservatories are proven to be structurally sound in accordance with wind, rain and snow loads based on the precise area that you live in. 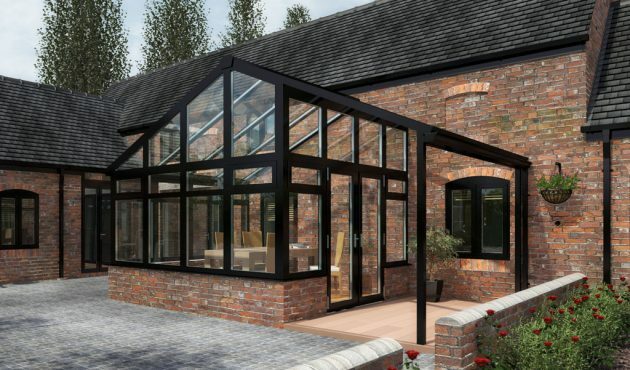 We work with you to design the perfect conservatory for your home, taking into consideration your property and how you plan to use the conservatory or orangery. We can apply for planning permission if it is required. We have our own team of builders who can build any base works you choose- whether that’s block and render or to match the brickwork of your existing home. We can even arrange for electrics, heating, blinds and flooring to be fitted if you require.We can take care of everything from start to finish of the project or if you prefer we are equally as happy to work alongside your chosen builder.